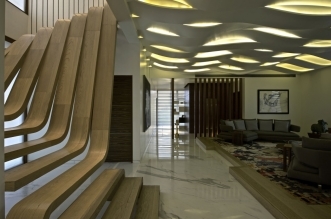 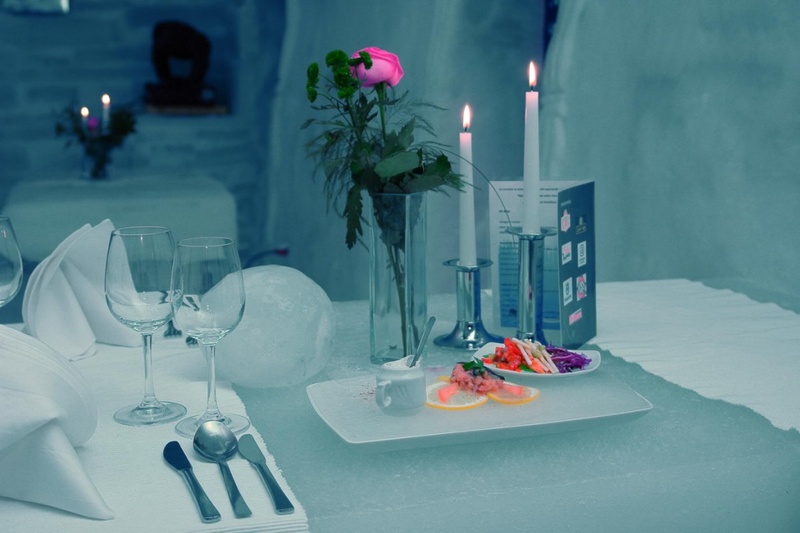 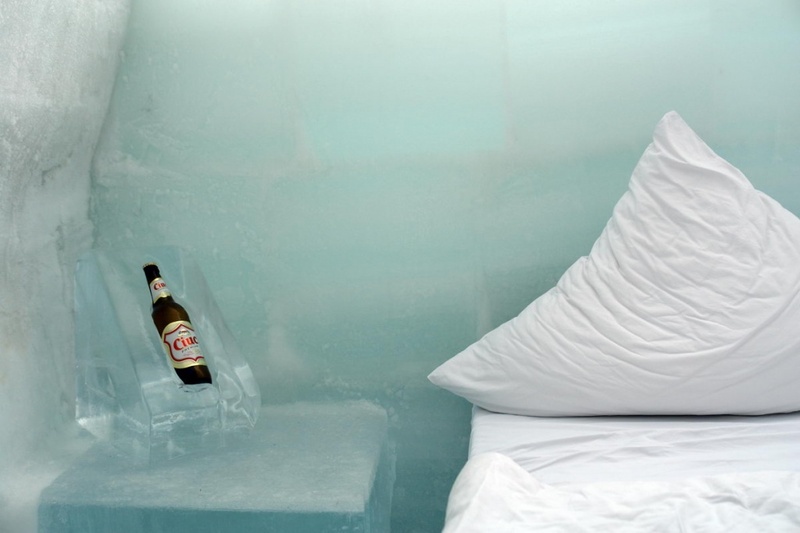 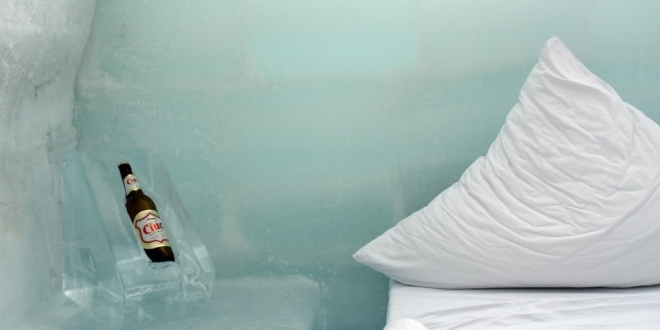 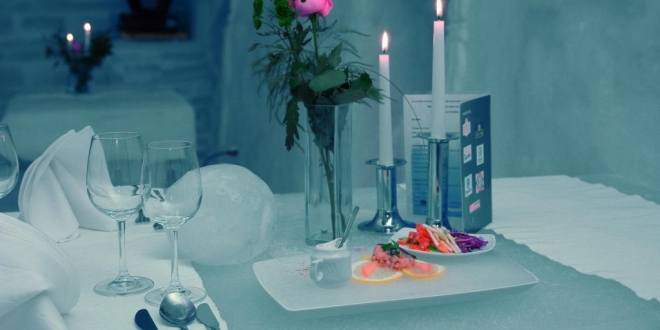 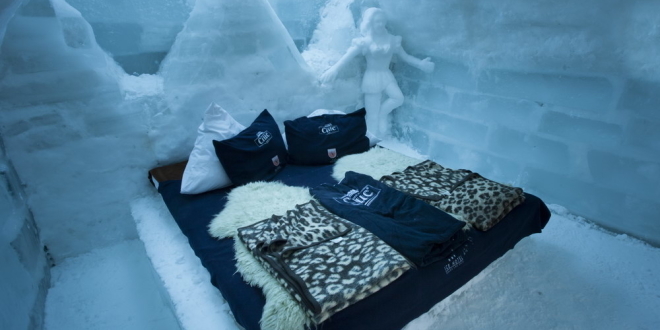 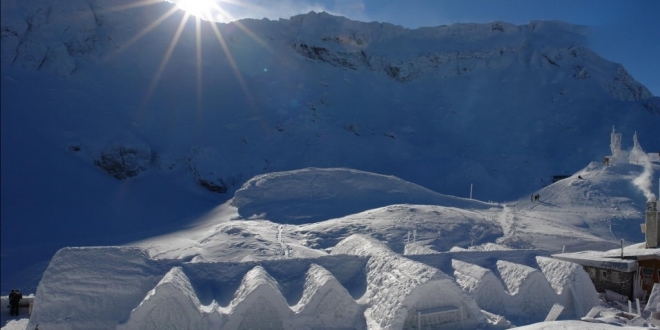 The Hotel of Ice in the Romanian Carpathians is a challenge, born from the desire to bring something new to Romanian tourism, something that combines winter adventure and fun. 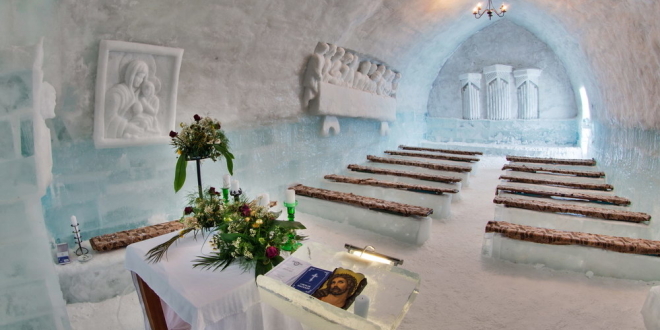 Too many people would not have believed that there is someone ambitious enough to use the nature for its own advantage, to transform it without destroying it – what eventually led to the Hotel of Ice, the unique winter attraction in Eastern Europe. 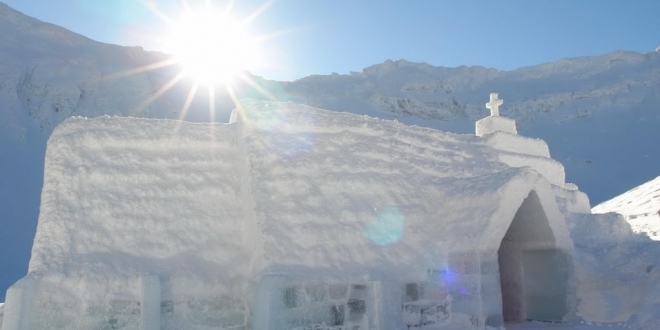 Since 2005 every winter the Hotel of Ice in the Fagaras Mountains is rebuilt, namely from the materials offered by nature: huge blocks of ice, cut and removed directly from the glacial Lake Balea are used to raise the walls, the snow gathered across the mountain slopes is used for fixing the ice bricks and for finishing the walls. 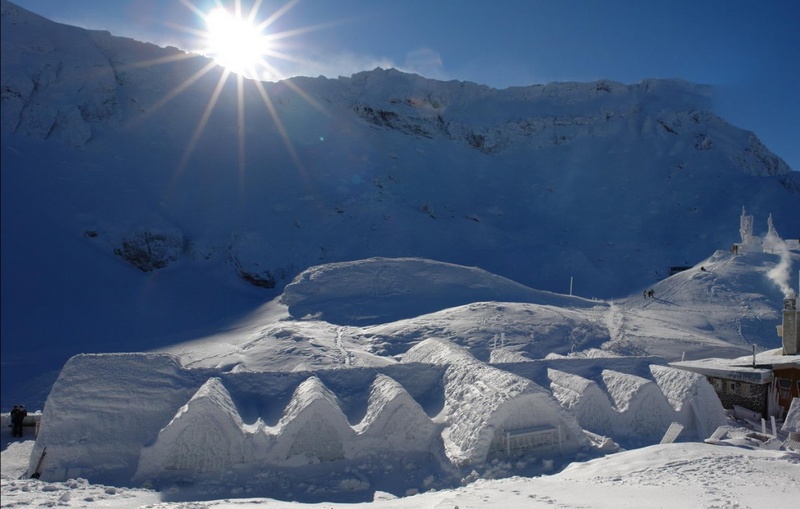 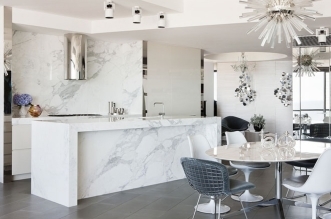 Visit Balea Lac anytime – it’s worth a visit also in the warm season, but in winter you will be overwhelmed by the stunning scenery of the snow covered peaks around the Hotel of Ice placed on the frozen surface of the glacial lake. 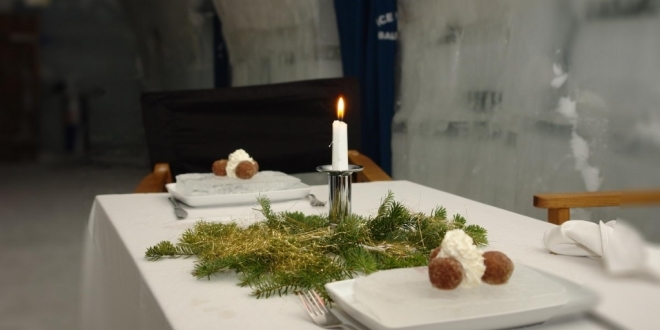 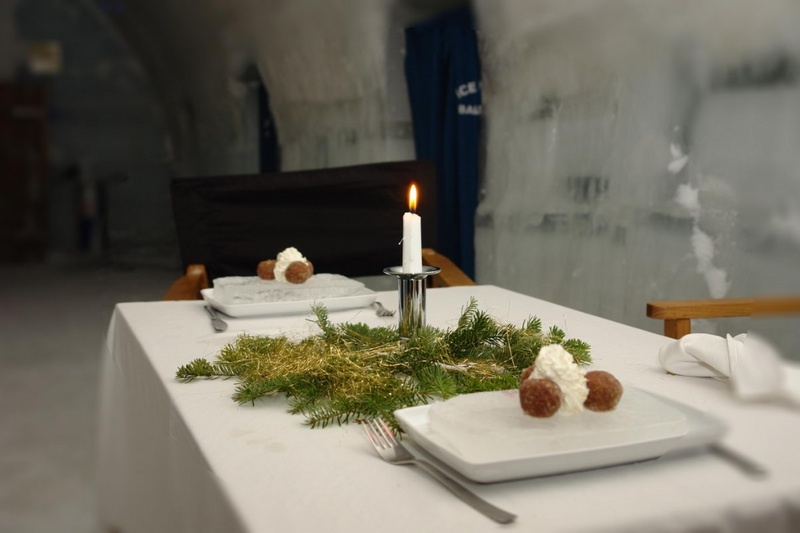 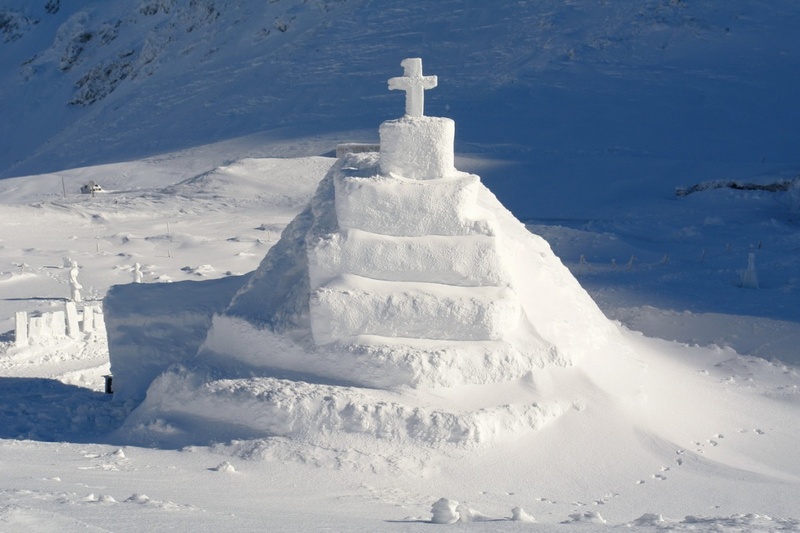 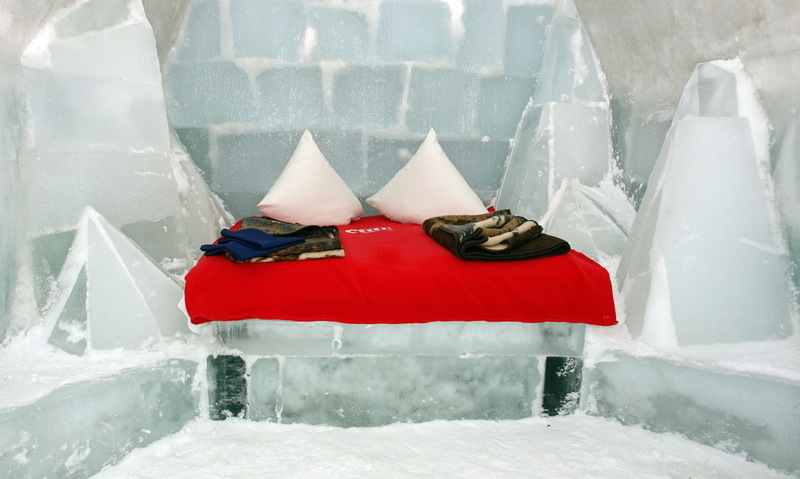 Every year brings a new story from the Hotel of Ice. 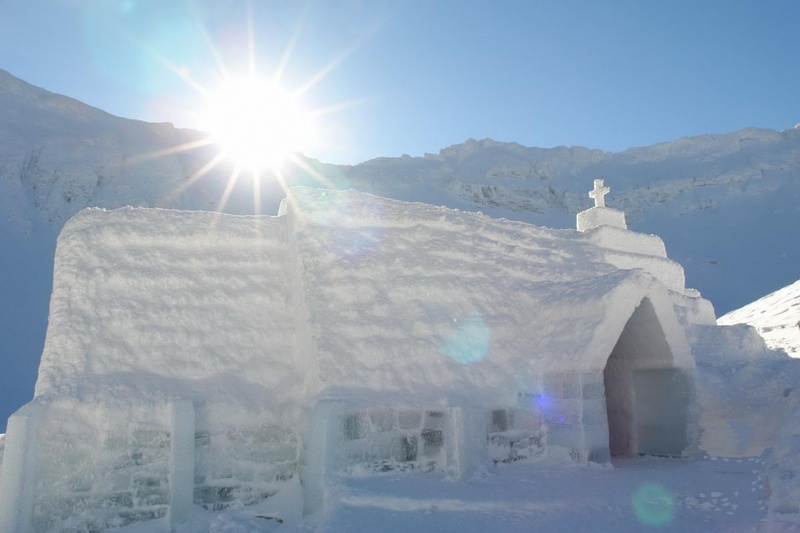 Each season another new structure is added and tells a new story. 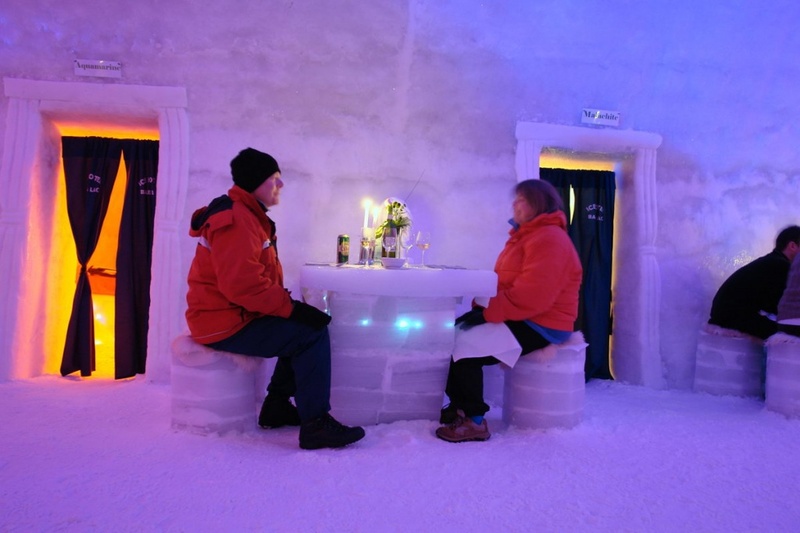 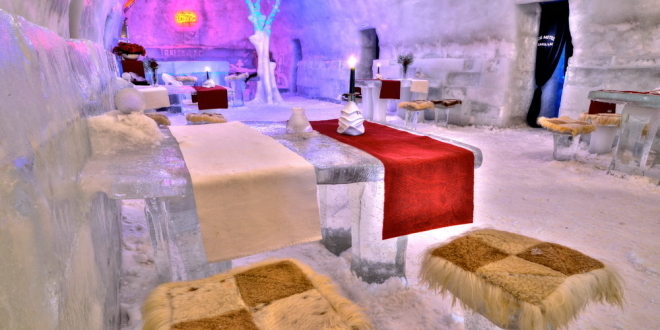 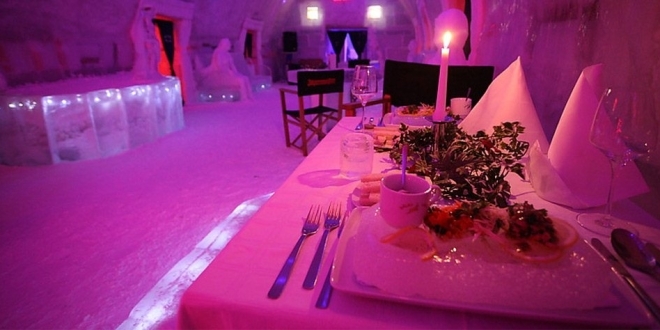 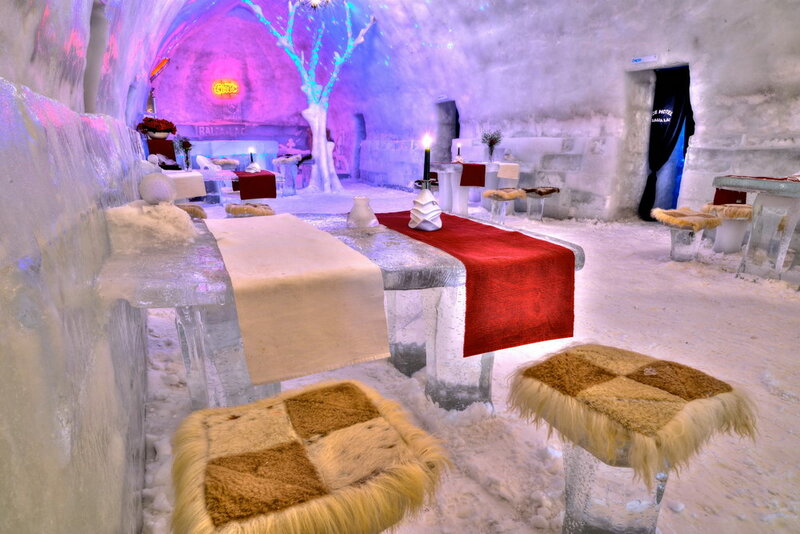 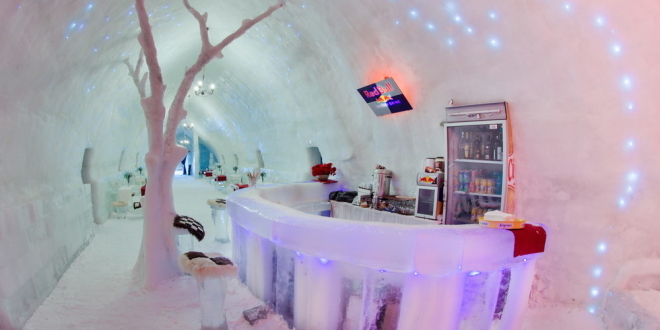 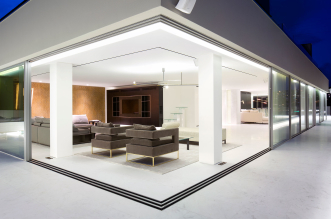 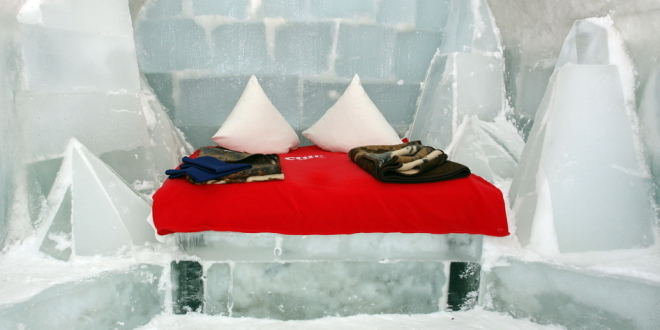 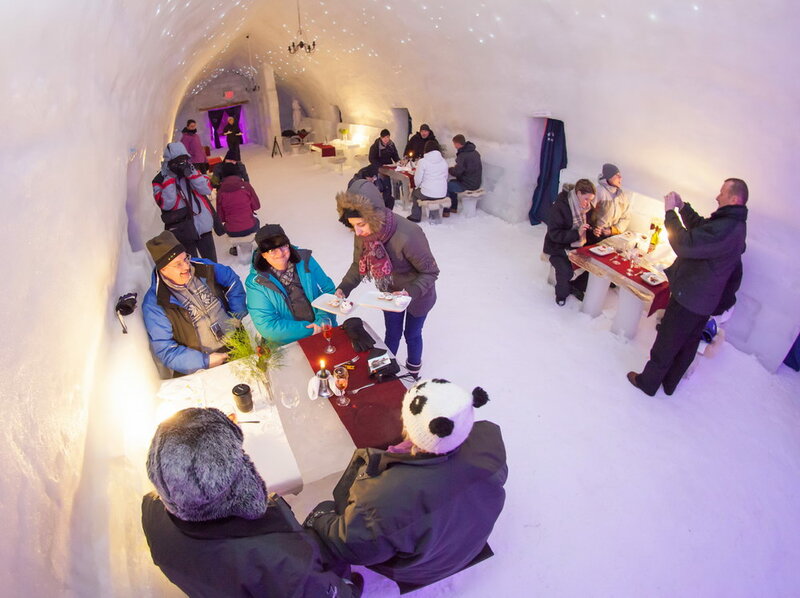 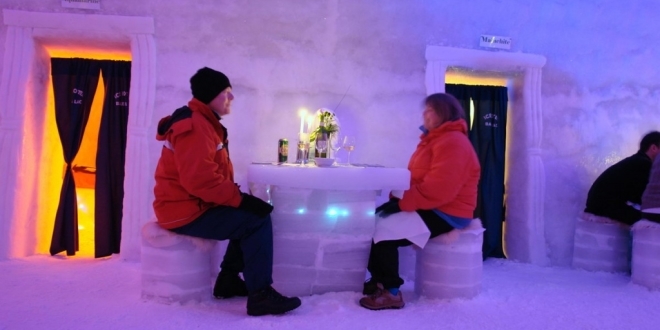 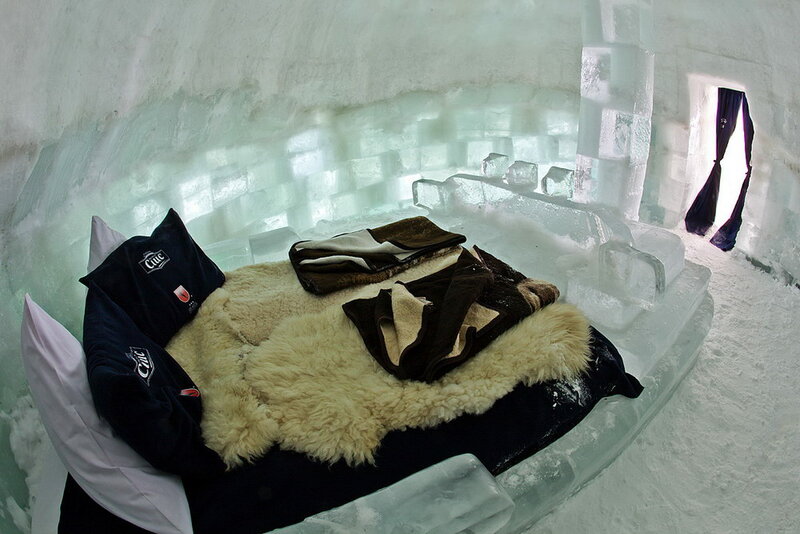 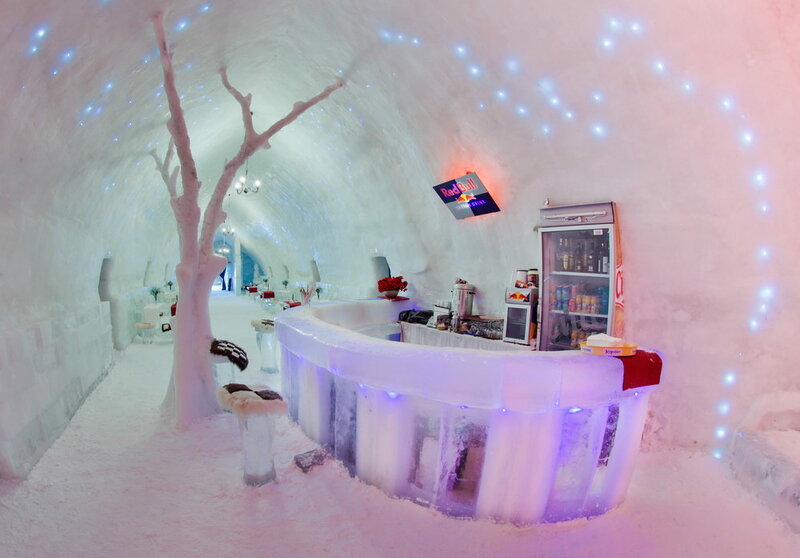 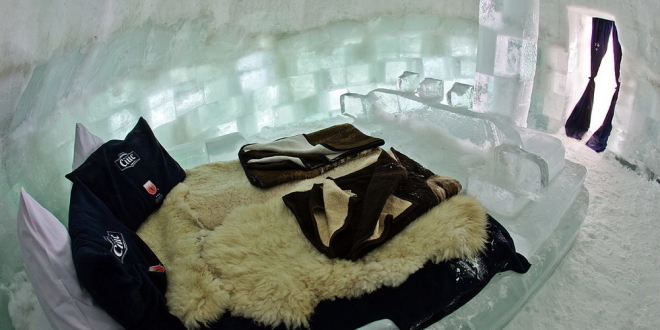 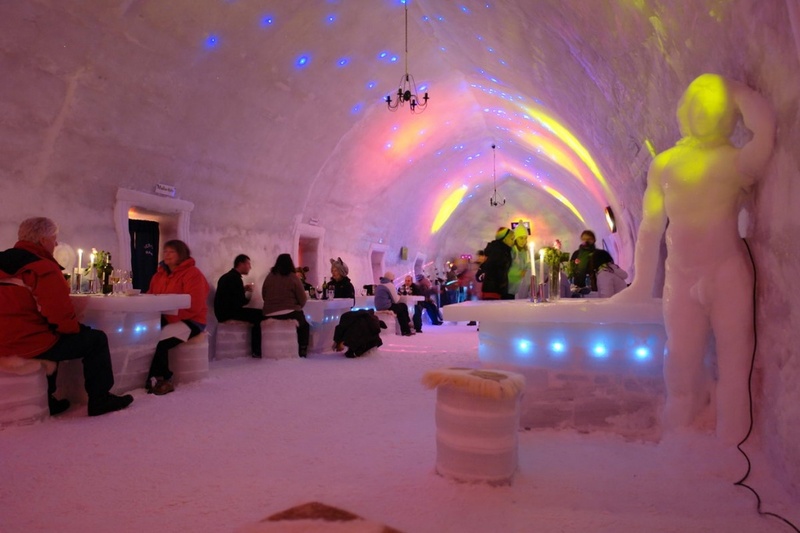 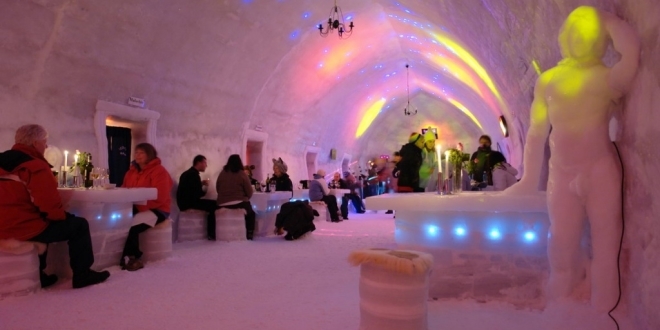 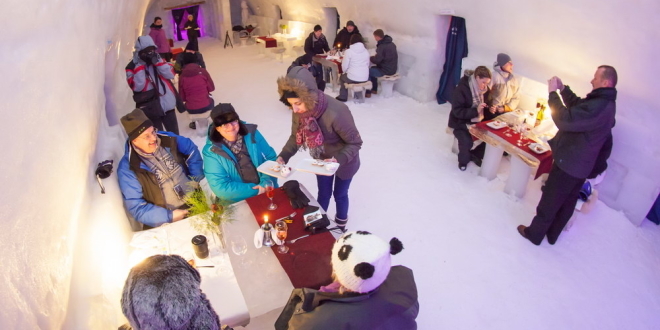 Beside of sleeping hotel is offering more private places in a complex of igloos built near the hotel. 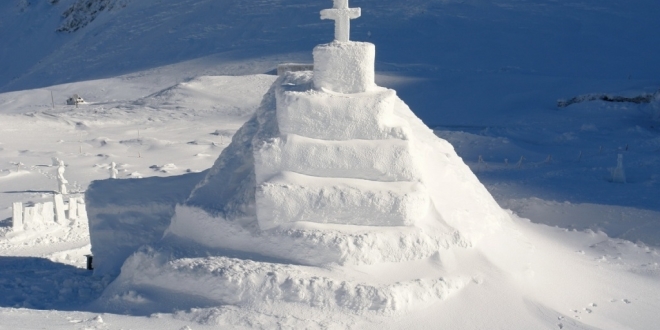 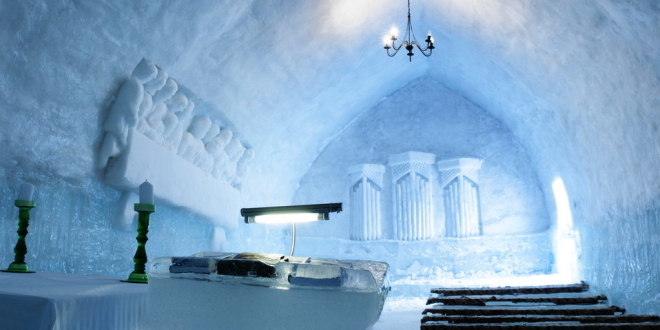 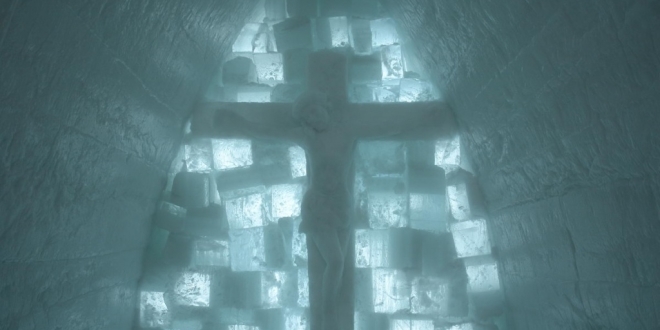 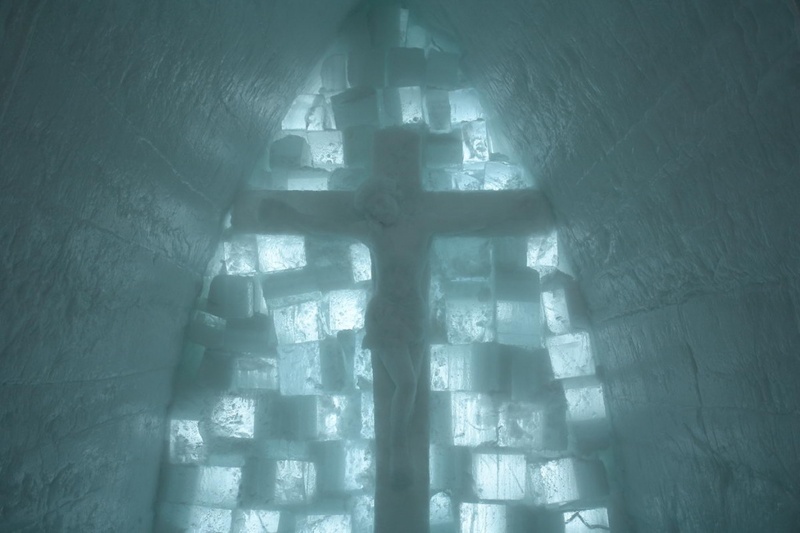 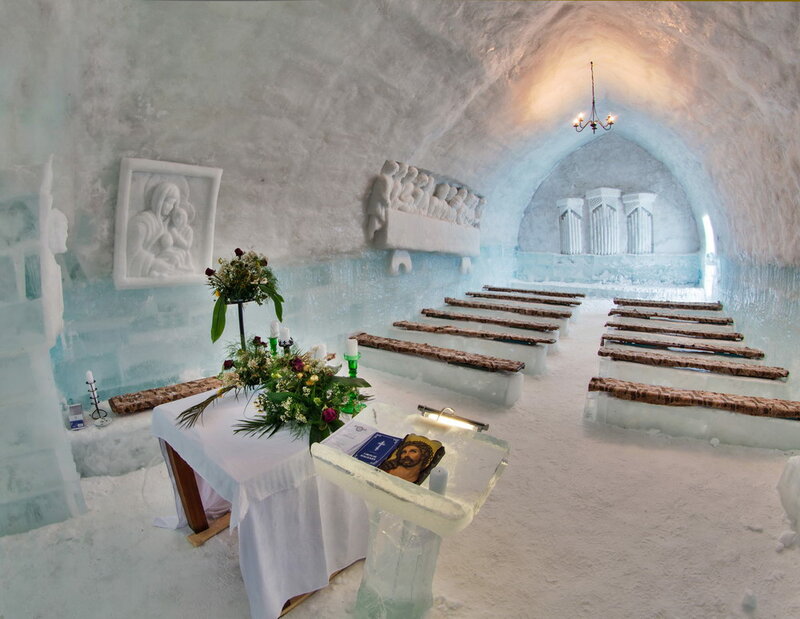 The beautiful Ice Church is opened for those who desire a moment of silence or for those who want to celebrate an unconventional wedding.